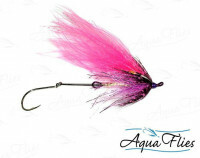 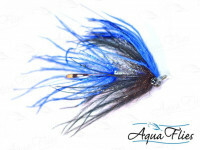 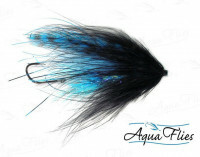 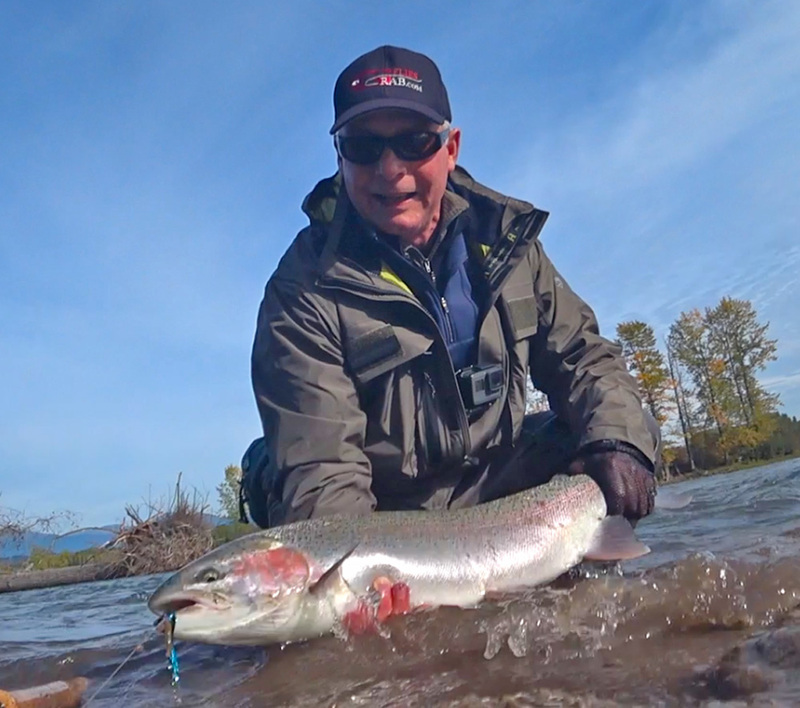 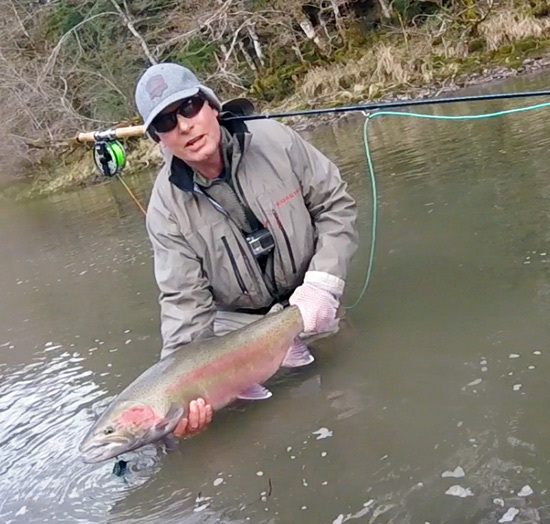 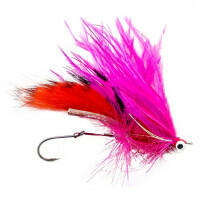 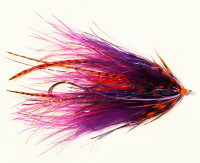 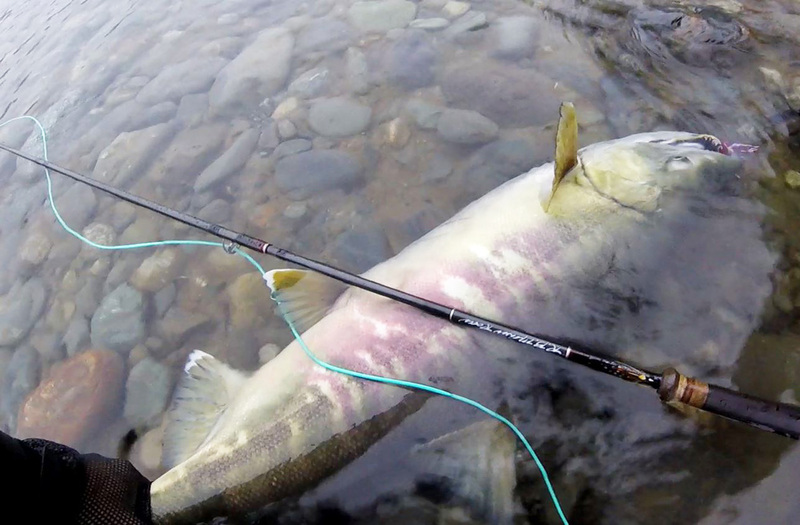 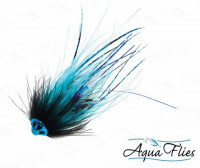 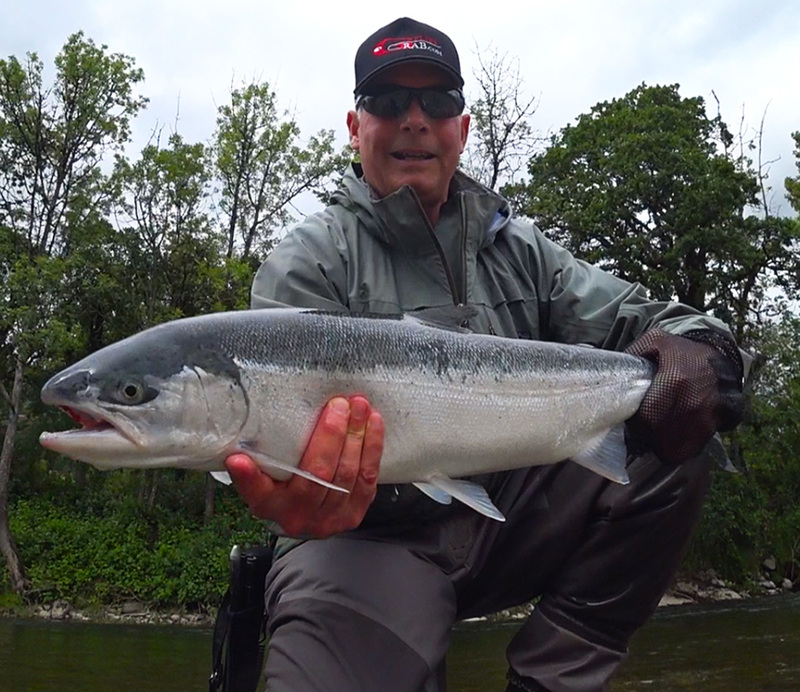 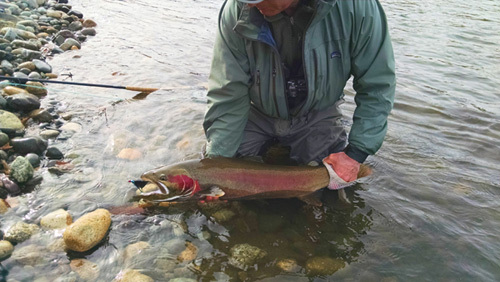 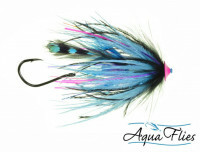 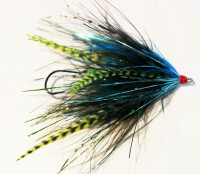 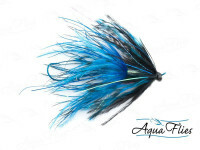 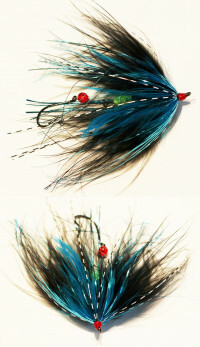 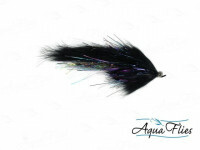 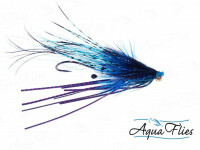 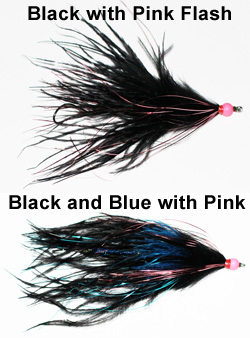 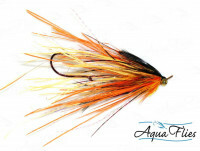 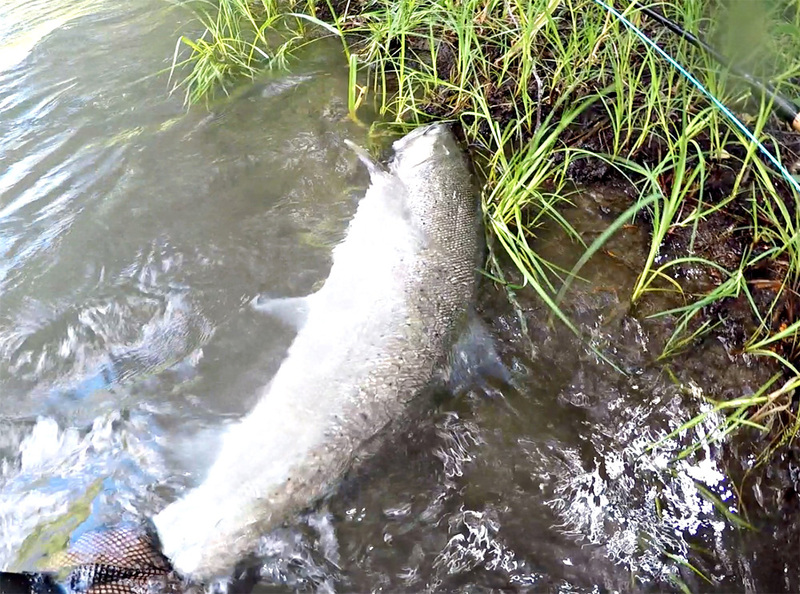 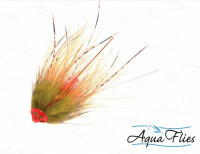 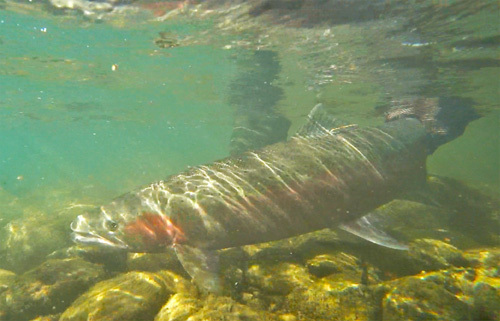 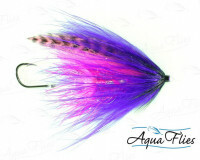 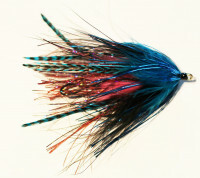 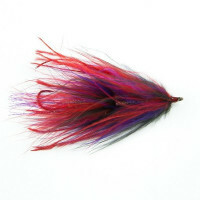 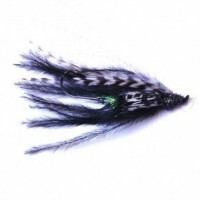 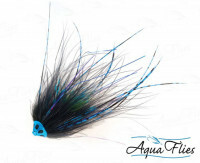 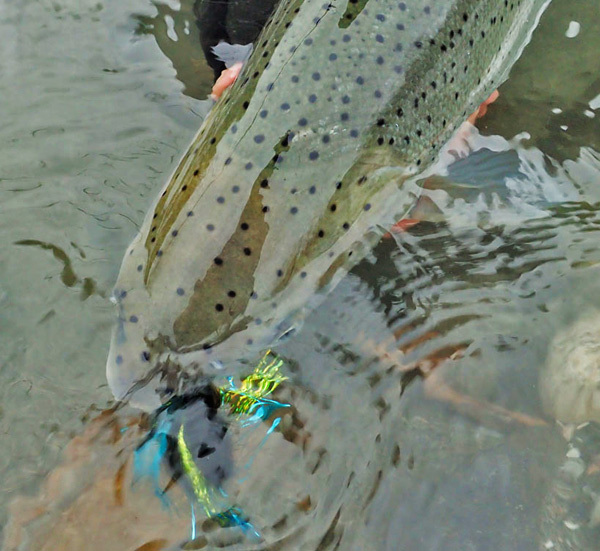 Think big, large profile, lots of movement (a fly that will motivate a Steelhead to move in cold water). 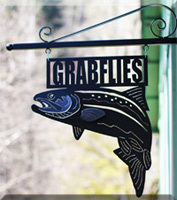 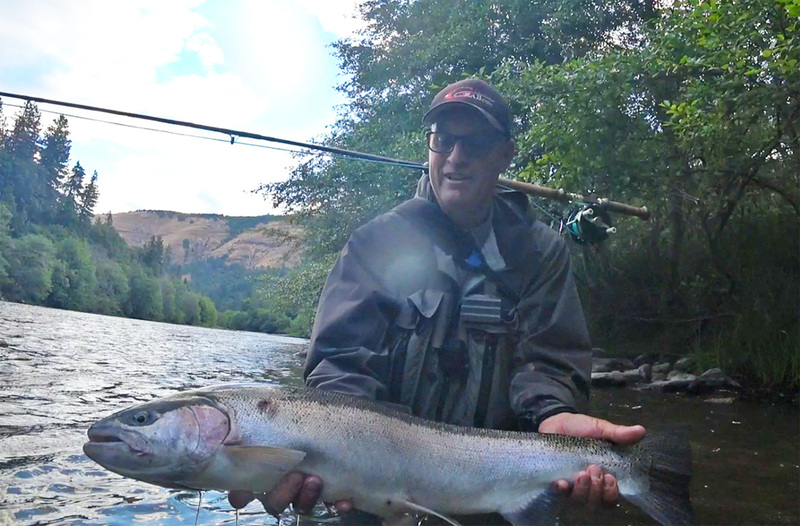 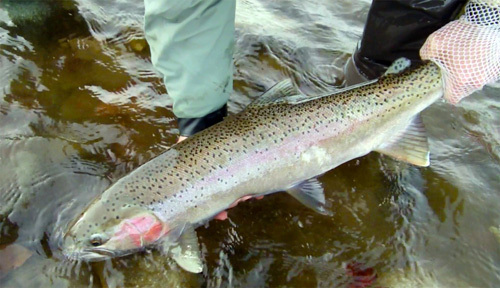 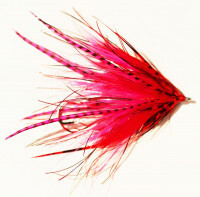 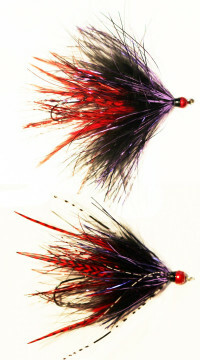 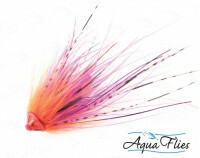 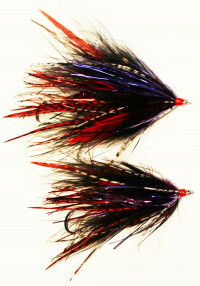 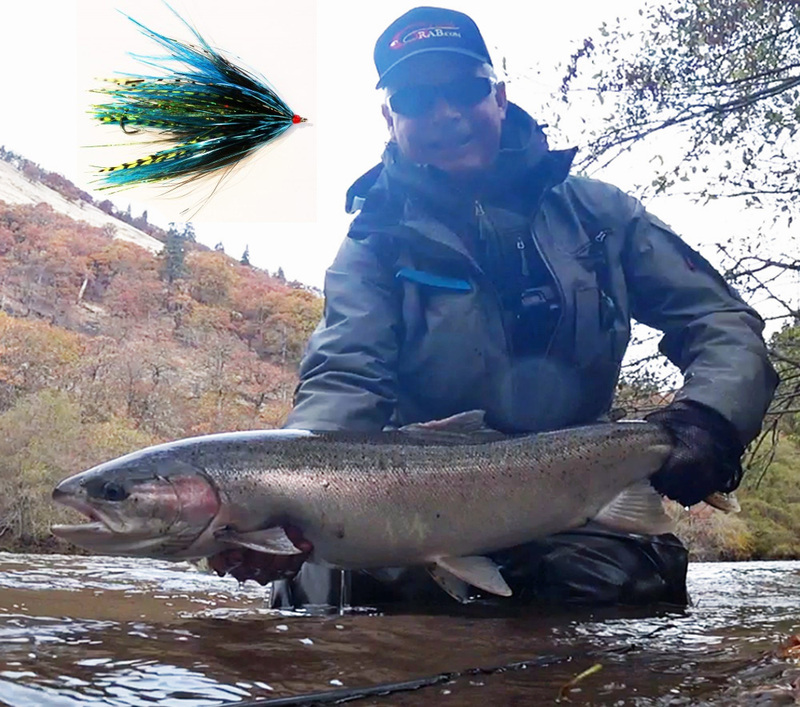 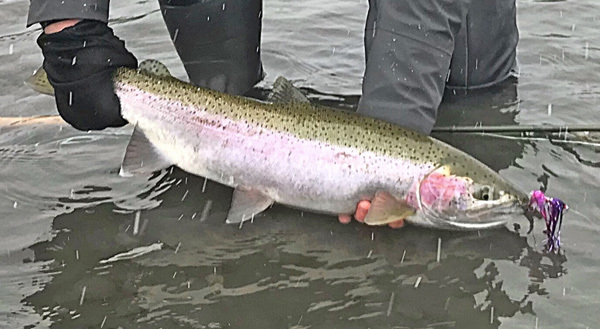 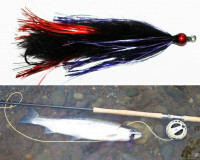 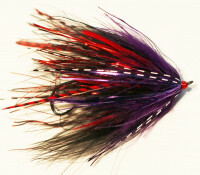 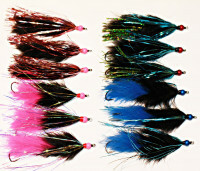 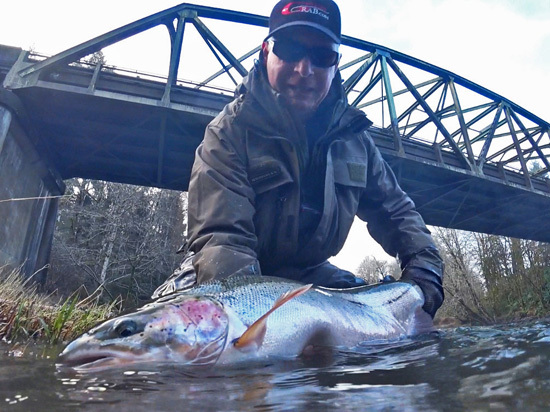 Other than that summer steelhead flies can work in the winter, and winter steelhead flies can work in the summer. 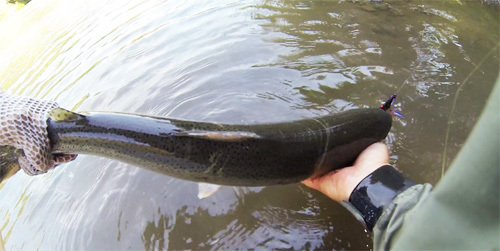 I use Moal leeches all year round with excellent results. 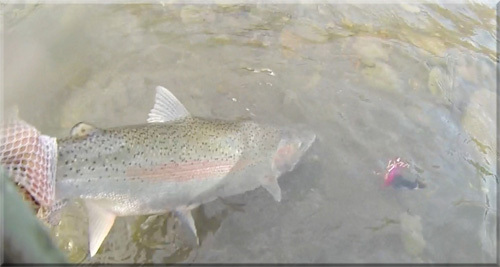 An exception to the above would be for very clear low water in the winter, then think small bright and flashy. 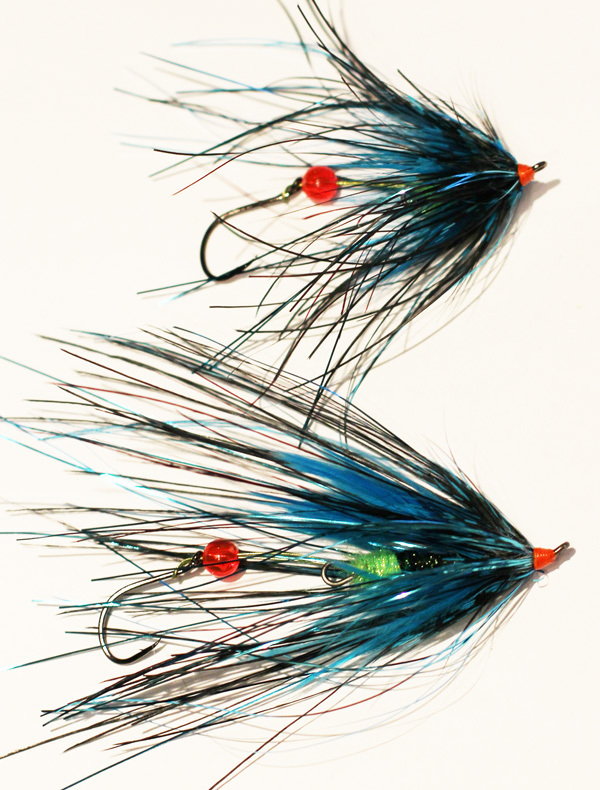 Large Intruder Flies get the job done. 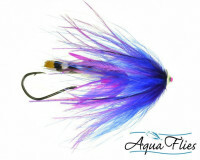 Heavy cone and bright flash, this baby works for steelhead and salmon. 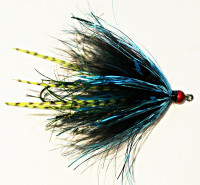 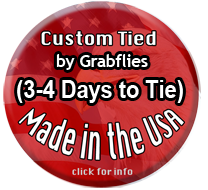 A little "Intruder" style fly, easy to cast, a nice little mid strata searching pattern. 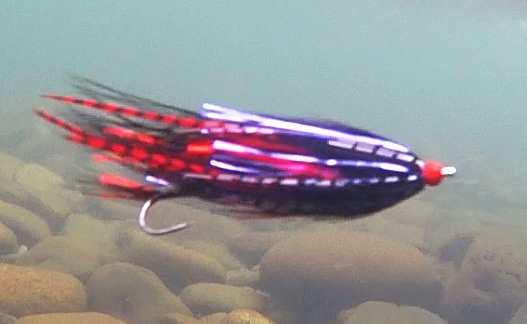 This is a caster's dream. 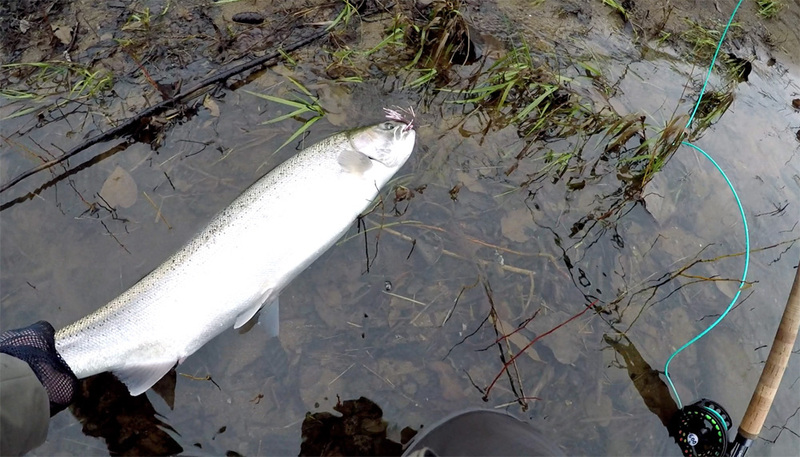 It is sparse, light, and casts like a rocket. 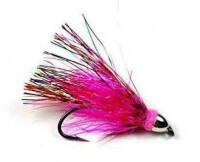 It has a TINY set of eyes on it that gives it just enough weight to get down a bit when desired but isn't a chore to cast.